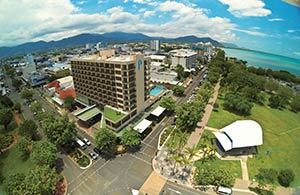 This contemporary hotel near the waterfront is a 2-minute walk from Reef Fleet Terminal for trips to the Great Barrier Reef. 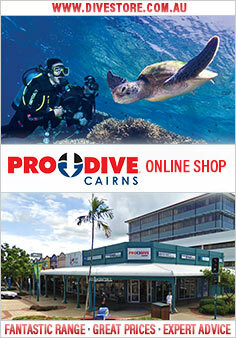 It's also a 12-minute walk from Cairns Convention Centre and 13.8 km from the Skyrail Rainforest Cableway. 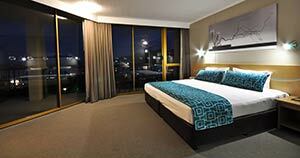 Understated rooms with balconies offer flat-screen TVs, free Wi-Fi, mini fridges, and tea and coffeemaking facilities. Upgraded rooms feature ocean views. Room service is available. The property has a Brazilian-style grill restaurant and bar. There's also an outdoor rooftop pool, free parking and 7 meeting rooms.